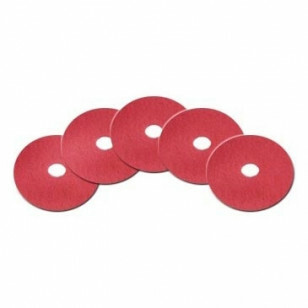 These 20 inch red floor scrubbing pads are meant to be used with either an automatic scrubber or a rotary floor buffer. 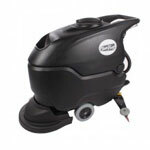 The pads will clean your tile floor daily, without removing any of your finish, as long as the cleaning solution being used is not too aggressive. 5 per case. Manufactured from 100%recycled materials. Green Seal certified.